Foursquare is reportedly on the verge of landing a large venture capital investment which will let it dramatically expand its enterprise, according to people in the know. We know it’s hot technology … but what’s Foursquare’s direction going to be? The news has surfaced over at the Wall Street Journal in a piece which fingers Silicon Valley venture firm Andreessen Horowitz as the likely leaders of this latest funding round. The newspaper suggests an announcement is due as soon as this week, and quotes an AH spokeswoman on the matter (AH has “a lot of respect” for Foursquare’s team, and it’s “an outstanding startup”). But it’s vague on the amount of cash that’ll be handed over. While the WSJ is confident enough to publish this piece, citing the usual “people familiar with” the industry as sources, without knowing how much money the location-based service is likely to get, we can’t necessarily guess what it’ll be used for, or how much of a significant boost to its business it’ll be. We do know that Foursquare raised about $1.35 million in a funding round last September, that it’s added five new staff members since January 2010 (bringing it to a total of 27) and that it now has 1.7 million users, growing at a rate of about 10,000 per day. These are all key indicators of a Web-based startup that’s got a firm grip on success–particularly the new staff joining the team. We’ve been impressed by Foursquare’s big strides in the brand-new location-based gaming business, and it appears that its plan to dominate the LBS business is to cleverly shun the simplest option–of embedding a basic ad system into its offerings–and instead to pursue high-profile advertising partners that turn the site’s game into a more interactive advertising experience. It almost reminds us of the alternative approach to mobile ads that Apple’s following with iAd. What the WSJ‘s article does imply is that the cash injection Foursquare is about to land may be more significant than the modest million-plus it earned in September 2009. The cash may allow the team to expand more, and that would potentially boost Foursquare’s negotiating power with advertising partners as well as allow it to boost its programming team to create more innovative developments to its core game systems. 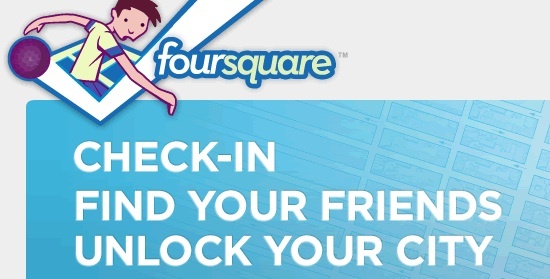 It certainly has to do try this route for development as rivals are quickly emulating some of Foursquare’s features in an attempt to catch up–Yelp, for example, has recently cloned the Foursquare “mayoral” user ranking system with levels like dukes, barons, and kings. And recently Twitter added “places” powers to its social networking system, which doesn’t compete directly with Foursquare’s business but does compete for mindshare among users who will have to work out which of their social apps to concentrate their location-based social networking efforts on.